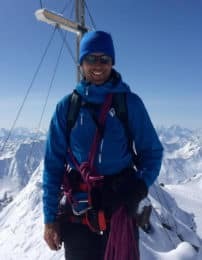 Climb ten 4000 metres peak in 5 days in this amazing tour in Monte Rosa, Switzerland, with Andreas, an IFMGA certified mountain guide. 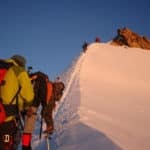 Join me for this fantastic tour in Monte Rosa next summer and climb ten 4000 m peaks in 5 days! 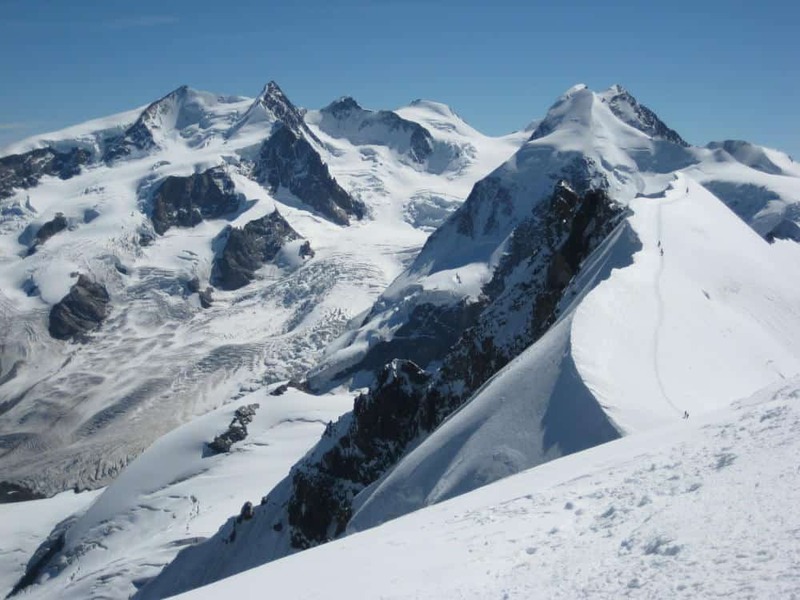 Monte Rosa is the second highest mountain in the Alps. You’ll enjoy breathtaking panorama and amazing views during these days. The tour starts in the beautiful village of Zermatt, at the foot of the famous Matterhorn. 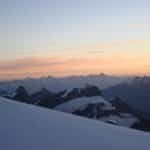 On the first day, with some help from the Cable Car, we’ll get to the Breithorn (4164m) and the Pollux (4092m). 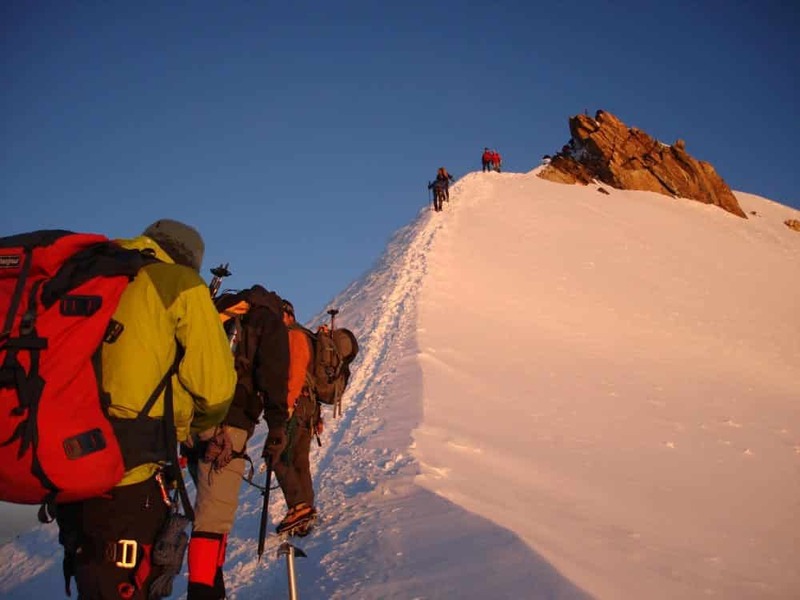 We will walk for 4 to 7 hours a day in steep and difficult terrain, so you need to be in good physical condition. Additionally, you should have experience walking with crampons. 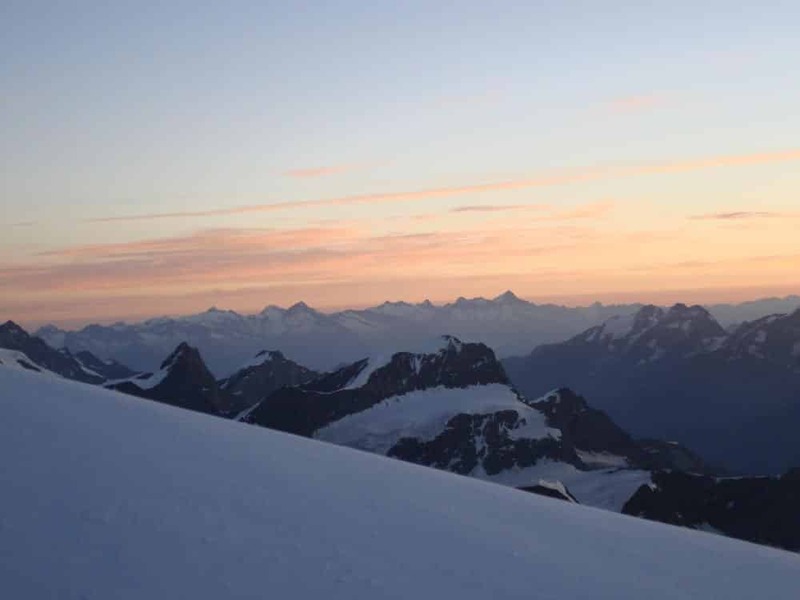 Over the next days in Monte Rosa, we’ll summit Castor (4228m), Punto Naso (4272), Parrotspitze (4432m), Vincentpyramide (4215m) and the Signalkuppe (4554m). 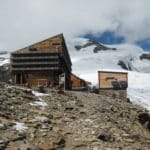 We’ll sleep at the Margherita Hut (4554m), the highest mountain hut in the Alps. Then, we’ll get to the highlight of the tour: the summit of the Zumsteinspitze (4563m). From there, we’ll enjoy a stunning sunrise over the north Italian Alps. 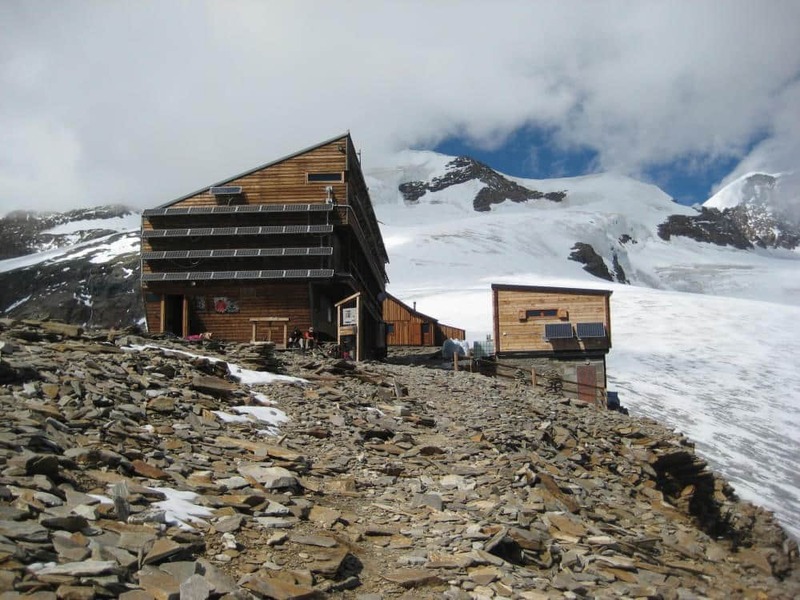 Then we’ll descend to the Monte Rosa Hut and have a delicious second breakfast. After that, we’ll continue our descent back to Zermatt. Please get in touch with me if you have any questions and let’s start planning this wonderful tour! 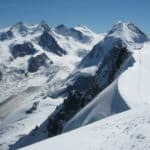 I also offer a 6-day program in the High Tauern National Park, famous for its impressive glaciers and peaks. Check it out!